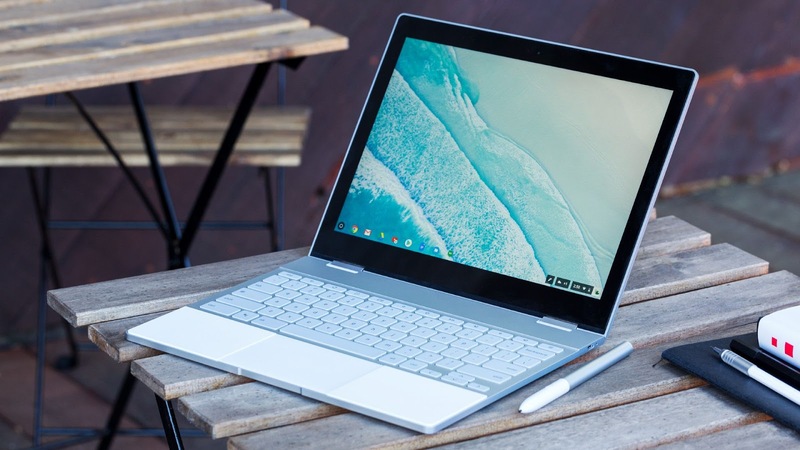 Google showed off their Pixelbook two months back but that didn't stop Google there. 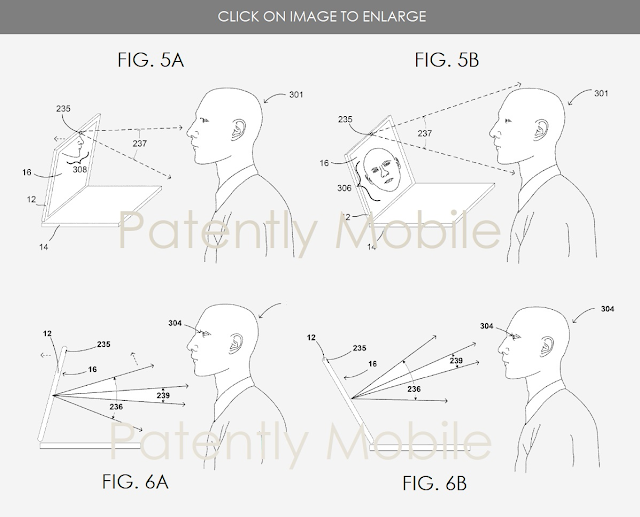 Google has been granted patents for motorized laptop hinge that auto-aligns with user's face which could feature in the upcoming Chromebooks or Pixelbook in the future. 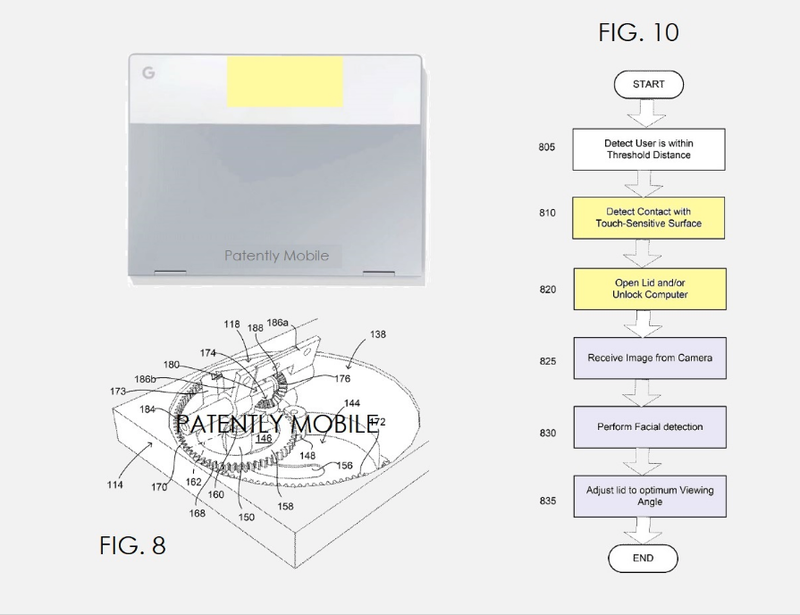 The patent was first filed back in 2013 by Google and Ken Loo, Senior Product Design Engineer who was a part of the self-driving car project, the Pixel smartphones, and the Pixelbook. 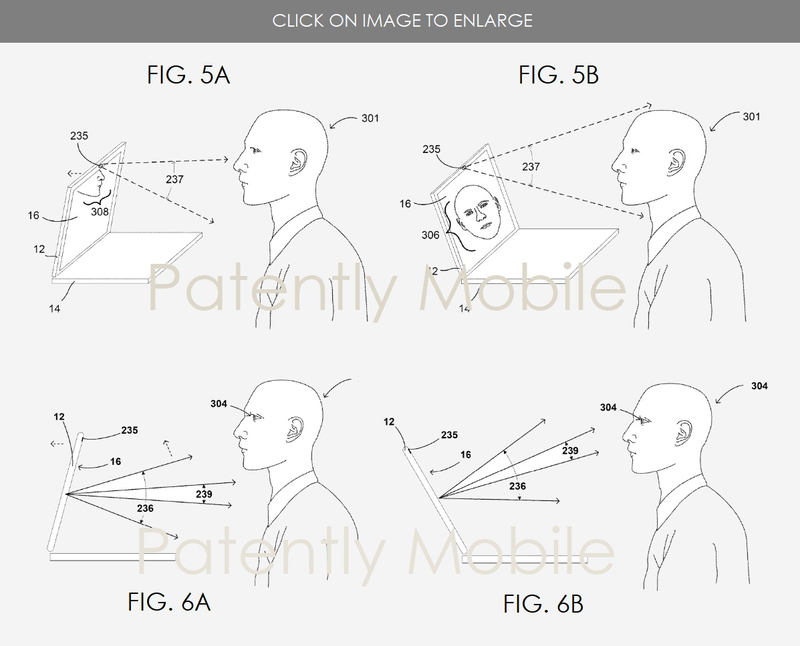 Let's put this patent simply, it needs to be a touch-sensitive section on the lid of the laptop that would detect someone tapping on it. Then it uses different ambient light sensors and cameras and uses the motorized hinge to open the computer’s lid. The different sensors on board would identify and track the user’s face and open the hinge to the best angle for viewing. However, these patients usually don’t see the light in the day, but it is possible that Google might incorporate in the upcoming Pixel Book 2. More than the patents, the design of the new patent might be a pricier affair for Google. A portable computer that has a motorized hinge structure capable of moving the lid between an open and closed position. The movement of the lid is based on input from a plurality of sensors. One sensor may be configured to determine whether the user is within a predetermined threshold distance. Another sensor may be capable of detecting whether the user has made direct contact with the laptop. In one embodiment, the computer may have an image sensor configured to detect the user’s face and continuously adjust the angle and position of the lid to keep the face in the field of view of the camera and/or keep the lid in the optimum viewing position.